Completing your own concrete project can be a gratifying experience though it will involve a good deal of planning and plenty of physical labor. A concrete project requires that you plan your pour, set up forms, place your order and finish your concrete. This Do-It-Yourself guide will take you though those steps to help you complete your concrete project. Consumers Builders Supply provides this information as a courtesy to you, but be aware that once the concrete leaves the truck’s chutes, it becomes your responsibility to place and finish it. For more information on complete concrete solutions please Contact Consumers Builders Supply. 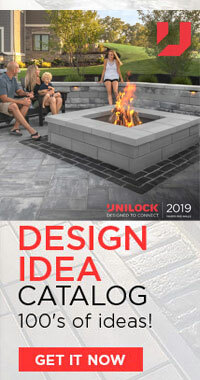 For a more in depth guide to concrete placement check out “Cement Mason’s Guide to Building Concrete Walks, Drives, Patios, and Steps” available from the Portland Cement Association. Concrete is a very heavy material that doesn’t move easily once it’s on the ground. It is highly perishable and sets within a couple of hours of being batched. Concrete finishing requires some knowledge and skill, so having an idea of what you are doing and how you are going to do it is the first step to making the job manageable. You will need to contact your local city or county planning department to check on any requirements that you need to follow (i.e., construction permits, code requirements). Often specific dimensions or depths are required for exterior flatwork and footing (four inches is typically the minimum thickness recommended for flatwork). You might also be required to place concrete that meets certain minimum strength or cement requirements. Digging will be necessary in order to set your forms and you should contact your local utility companies to find out where buried cables are located. 2 x 4s or other dimensional lumber will be needed for forms and stakes. This is a good time to make a scaled drawing of your project in order to figure out how much lumber you are going to need and calculate the square footage of your project. The height, width and depth of your project will determine how much ready mixed concrete you will need. After you have the dimensions of your project you can use the Concrete Calculator on our website to determine the amount of ready mix concrete to order. (One cubic yard equals 27 cubic feet. To determine the needed amount of concrete, multiply thickness expressed in feet by the square footage and divide. Don’t forget to add 10% for spillage, uneven subgrade, spreading of forms, and settling of subgrade. Dispatchers can help you determine your needs for quantity and type. Prepare the ground beneath your pour area by removing the grass, roots and any vegetation growing in the soil. Unless you are placing concrete on virgin clay, you are going to have to remove any loose or soft dirt and replace it with a granular fill such as fill sand or stone. You may need to order and place this fill prior to placing the ready mix concrete. Most concrete tools can be rented at businesses that deal with contractors, or can be purchased at most lumberyards and hardware stores. Consumers Builders Supply store provides many of these items. It is important to think about where you are going to place the ready mix concrete truck when it arrives. Can your pour be reached from the street or will the truck have to leave the road? Mixer trucks are very heavy, especially when loaded. They will put ruts in your yard, break septic tank covers, and crack existing concrete, such as driveways and sidewalks. The truck will need overhead clearance so be sure to check if there are any low wires or branches in your planned route. Now that you have an idea of what you’re doing, how you’re doing it, and have the continued desire to tackle the project yourself, it is time to get started. The first step in constructing exterior flatwork, such as a sidewalk or patio, is the preparation of the subgrade. Remove all soil so that the final surface of the concrete will be slightly above ground level. Remove all organic materials, such as grass and roots. Remove any large rocks imbedded in the soil. Remove any soft, loose, or spongy areas in the subgrade. 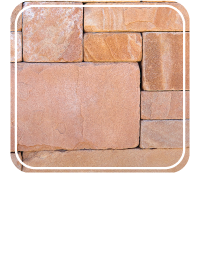 Unless you are pouring on virgin clay, back fill with fill sand, crushed slag or stone, or gravel and level to a uniform depth of at least 4 inches (or your required depth) below the top of your expected grade. 1. Compaction—You will now need to compact the subgrade. Compaction of the subgrade is of extreme importance. Failure to properly compact the subgrade can lead to the concrete settling and cracking. The subgrade should be hard, uniform, free of foreign mater, and well drained. If you are doing a small project, a heavy hand tamper will suffice. However, if you have a large project, you will probably want to rent a vibrating compacter. Compact your fill in layers no more than 4 inches thick at any one time. 2. Forming—The final grade of the concrete depends on the accurate setting of the forms. It is recommended that you set your grade with a slight slope so that water does not collect on the slab (a slope of 1/8 inch per lineal foot is sufficient). With use of a string line and level, set your grade or height at the slab’s surface. Drive set stakes into the ground so that the face of the stakes square up with the string line. The top of the stakes should be a few inches higher than the string line. The stakes should be placed no more than 4 feet apart and should back up every joint in the form lumber. Stakes can be used to lap form joints so that form ends stay aligned. You can now start to nail the forms to the stakes. 2 x 4s are the most commonly used form lumber. They should be clean and straight. Raise the 2 x 4 so that its top is even and level with the string line. Nail from the stake to the 2 x 4. To make the job of removing forms easier, use double-headed forming nails. Continue this process until all sides have been formed. The weight of the concrete can spread forms, so be sure to use 2 x 2 lumber or specially made steel concrete stakes. For extra protection, it is a good idea to brace the stake. If you are placing fresh concrete against existing hardened concrete isolate the two from each other by placing an expansion joint in between. Curves can be formed by closely placed saw cuts 1/2 to 2/3 through a 2 x 4, or using 1-inch lumber. Also, you could place saw cuts of 1/4 to 1/2 inch through plywood. Wetting the lumber may make bending easier. When forming curves it is important to set stakes closer together than when working with straight forms. Depending on the radius of the curve, you may want to decrease the distance between stakes to 1 or 2 feet apart. To make sure that your subgrade is of uniform and proper depth, place a straight edge across the forms and measure down in various spots. Shortly before your concrete arrives, you should dampen the subgrade with water and spray or brush form release oil on all forms. There should be no muddy spots or standing water in the subgrade before concrete is placed. It all starts with a phone call. 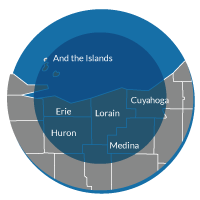 The Service Areas section includes all the information you need to find specific about services and phone numbers in your area. Consumers Builders Supply dispatch with work with you to place your order for the proper concrete mix and set up a time, date and location for your pour. Delivery schedules fill up quickly and so it is recommended that you place your order 2 or 3 days in advance as you will have a much better chance of getting concrete when you want it by ordering early. 2. The job site address and zip code. 3. Directions to your job site, including the nearest major cross street. The dispatcher has to pass these directions on to our drivers, so be clear and concise. 4. Telephone number—It is a good idea to give a home and a mobile number so that dispatch can contact you should any questions arrive about your delivery. 5. Description of your project—(i.e., driveway, patio, stoop, steps) This information helps the drivers find your location once they are near that site and it also helps dispatch determine the mix and the slump you need. 6. 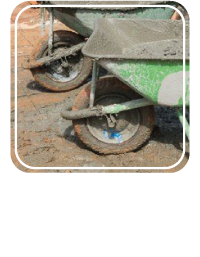 Mix and Slump—Concrete comes in many mixtures. The most commonly used mixtures are 3000 psi, 3500 psi, and 4000 psi. We recommend a 4000 psi air-entrained mix for exterior flatwork such as sidewalks, driveways and patios. A 3000 psi mix is generally sufficient for most residential footings, foundations and interior flatwork. A 3500 psi mix is good for flatwork in areas such as garages where the floor is not exposed to the elements (not recommended for heated floors). Check with your local Planning Department for concrete specifications that may be required in your municipality. Slump is a measure of consistency or how stiff or loose the plastic (wet) concrete is. Most driveways should be placed at a maximum of a 5-inch slump. Most steps are placed at a 3-inch slump; a 3-inch slump is stiffer than a 5-inch slump. Generally, water is added to the mix to increase slump, or to make the mix viscous. The more water that is added to a given mix, the weaker the mix becomes. Therefore, it is a good idea to place concrete as stiff as possible for the job that you are doing. You can always add water on the job to make your concrete a little looser, but once the water is in you can’t take it out to make the concrete stiffer. 7. Amount of Concrete—The Concrete Calculator on this Web site can help you figure how much you need. Dispatchers can also tell you how much you need if you give them your dimensions. Make sure to double check your figures and always order 10% extra concrete to compensate for an uneven sub-base, spillage, spreading of forms and settling of subgrade. Running short can be costly in both time and money. Round orders up to the nearest ¼ yard. 8. Truck Spacing—If your order requires more than one truck, you will be asked how long you need to empty each truck. You don’t want to have to wait between trucks, but you don’t want one or two trucks sitting on the job waiting for the first to pour. Concrete in the waiting trucks will become “hot” and set very quickly after being placed. If you are unsure, talk to dispatch and let them know your plan for placing the concrete as they may have suggestions to help you. It is recommended that you have plenty of helpers who are ready to work. Try to have someone in your crew that has worked with concrete before. If you are using a wheel barrel to transport the concrete, use construction-size wheel barrels and have three or four of them going. 9. Extra Products—(See Product Enhancements) Extra products include fibers, color, or other admixtures that change the properties of the mix for faster setting, slower setting, or easier workability. Talk to the dispatchers about your pour; they will help you determine the mix, slump, and any extra products that are right for your job. 10. The Date and Time—You will be asked when you want the concrete to be delivered. Delivery schedules fill up fast, so it is always best to order 2 or 3 days in advance. 11. A Firm or a Will Call Order— A firm order means that your concrete will be delivered at the agreed upon time unless you call to cancel. If for some reason you need to cancel the pour, you need to let dispatch know at least 1 hour before the scheduled delivery time. A will call order means that you are expecting to pour and dispatch is expecting to deliver concrete to you at a given time. However, the order will not be sent until you call to confirm the order at least 2 hours prior to the scheduled delivery time. 5. Unload Time— This is how much time you will have to unload a truck. You will be charged for each minute that a truck is kept over the normal unload time. It pays to have plenty of good help. You can talk to your dispatcher to find out the current wait-time charges. 6. Minimum Load, Saturday, Will Call or other charges. There may be a charge for delivery of small loads of concrete. Placing and finishing concrete is hard, physical work and requires skill and knowledge about the product. This section is intended give you some help understanding what to expect when the truck arrives. Please understand that Consumers Builders Supply is a supplier of ready mix concrete and does not set up forms or finish concrete. You will need to do these things yourself, hire a concrete contractor or talk to a dispatcher about complete Concrete Solutions provided by Consumers Builders Supply. When the truck arrives at your job the driver will do his or her best (with your direction and permission) to put the concrete where you want it. After the concrete leaves the truck’s chutes, it becomes your responsibility to place and finish it. Verify the required tools with the list at the beginning of this document. 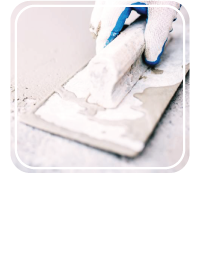 Most concrete tools can be rented at businesses that deal with contractors or can be purchased at most lumberyards and hardware stores. You do not want to place more concrete than you can handle at one time. If you do not have much experience with concrete, don’t place more than 3 or 4 yards per pour. If you have a large area that you want cover with concrete, you should plan on making a series of pours over a period of time. Otherwise, seek some professional help. Regardless of the size of the job, having sufficient help is a must. Screeding, or striking off, is much easier with two people on the screed board and one person with a shovel, or come-along, leveling the concrete in front of the strike off. If you have to wheelbarrow the concrete it is good to have 2 or 3 construction-size wheelbarrows manned and ready to go. When the truck arrives on the job, talk to the driver about the pour before you begin. Ask the driver for his suggestions. Ready mix concrete drivers see just about every kind of job imaginable and may be able to give you suggestions to make the pour easier. He or she will also have a feel for where the truck can go and how you might avoid damage to your property. Walk the route with the driver to get suggestions. Look for low wires or branches that might be torn down or broken by the truck. The trucks do not leave the roadway without being asked or directed to. The damage caused off the roadway is your responsibility, so please be cautious as mixer trucks are heavy and may break sidewalks and driveways as well as will leave ruts in your lawn. Trucks may fall through septic tanks and can even push in a basement wall if they are driven too close. The drivers will appreciate any help offered to help guide them into place. Once the truck is in position, have the driver discharge a small amount of concrete so you can see if the slump needs to be adjusted by adding water. Add a little at a time. Remember, you can always add water; you can’t take it out. One gallon of water per one cubic yard of concrete adds one inch of slump. For example, if you have 5 yards of concrete at a 3-inch slump, you would add 10 gallons of water to make the concrete a 5-inch slump. Allow approximately 2 minutes of mixing time after water is added. When working with concrete it is important to remember that plastic (wet) concrete will irritate and burn exposed skin. Wear rubber gloves and boots while working with concrete. Immediately wash with soap and water any area that has had direct contact with plastic concrete. Seek medical attention should your skin become irritated. Concrete can splatter so it is a good idea to wear safety glasses. Always be careful when working around the truck or the chutes and do not work underneath the discharge chutes at any time. If at all possible, stay in the driver’s line of sight and talk to the driver about hand signals so that you and the driver can communicate during the pour. These tips are intended to give you a quick list of things to keep in mind throughout you project. Unless you have opened an account, you will be expected to make payment when your concrete arrives. Most major credit cards, checks and cash are accepted. Please make advance arrangements with dispatch when paying by credit card. Drivers do not carry change, so have exact amounts when paying with cash. Please be prepared to show the driver a driver’s license when paying with a check. NSF or “bounced” checks are prosecuted under the full extent of the law. Be ready to start placing concrete as soon as the mixer truck arrives. The less time you take to place the concrete, the more time you will have for finishing operations. If at all possible, place the concrete using the truck’s chutes. This will allow you to place the concrete quicker and at a lower slump. Should you need to use wheelbarrows to place your concrete, use 2 or 3 construction-size wheelbarrows. Start with the area of the slab that is furthest away. If placing concrete for steps or on an incline, use stiffer concrete and start at the bottom, working your way up. Place concrete in the forms to the full depth. Spade along the sides with a square-ended shovel or lightly tamp the concrete next to the forms with a hand float to consolidate the edges and remove any honeycombing. Square-ended shovels and come-alongs can be used to keep the concrete from being placed too high or low in the forms. It is extremely important for the durability of your slab to strike-off and bull-float, or Darby, the concrete before bleed water has had the opportunity to collect on the surface. It is a good idea to strikeoff and bull-float as you go. Screeding, or striking-off, is accomplished by placing a straight 2 x 4 on the top edges of the forms across the width of the slab, tilting the 2 x 4 slightly forward, and drawing it over the concrete in a sawing motion. If your grade is high prior to screeding, the strike off board will want to rise. You will have to hold it firmly against the forms to keep this from happening. Screeding is best done with two people, one at either end. You will have to shovel more concrete in low areas. It is best to strike-off an area of concrete twice. Screeding not only levels and grades your slab; it also helps consolidate the fresh concrete. Continue this process until you have completed placing the concrete. In order to have as little clean up as possible, leave a small corner of your pour empty until you have completely screeded the entire surface twice and scraped all of the concrete out of the truck’s chutes. The finishing process seals the top of the concrete. Float the concrete as soon as it has been struck-off and before the bleed water accumulates on the surface. If you have enough people helping you, you can set up different crews to place concrete, float and screed at the same time. Floating can be done with a bull-float, a Darby or a hand-float depending on the size of the job. One or two passes with a float should be enough to smooth and level the surface without sealing the concrete. At this point you must wait until the concrete has stopped bleeding and the water sheen has left the surface. Concrete bleeds as the heavier particles settle and water migrates to the surface. Any finishing operation that takes place with water on the surface will result in later problems, such as dusting, scaling, crazing and blisters. As the water continues to migrate towards the surface, it cannot penetrate the sealed surface. The water then collects in the form of blisters just beneath the surface of the concrete. The blisters will delaminate and scale as the concrete ages. Concrete should never be finished until all bleed water disappears from the surface or when the sheen on the surface of the concrete has dulled. Troweling while water is on the surface mixes water back into the paste, thinning it out, and weakening the top of the slab. The waiting period depends on many factors. Cement content, admixtures, weather, ambient and concrete temperature and water content will all have an effect on how long you must wait. Once the concrete has dulled, you can begin edging the slab. Spade the concrete next to the form gently with a small mason’s trowel to a depth of about 1 inch. Then return to the same area and run your edger over it. 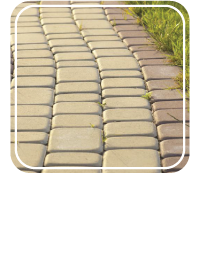 Edging produces a neat, rounded edge that resists chipping when the forms are removed. Plastic concrete freezes at about 25° F and doing so can reduce its final strength by more than 50%. Therefore, it is important to keep fresh concrete from freezing until it reaches a compressive strength of at least 500 psi. Kept at 50° F, it will take most concrete two days to reach 500 psi. Lower temperatures also mean slower strength gain. Because of this it is important to protect the concrete and keep it as warm as possible (at least 50° F). This can be accomplished with thermal blankets or through the use of heaters such as “salamanders.” Be sure to vent all fuel-fired heaters. The carbon dioxide given off in the exhaust can create carbonation, which can cause the surface of the concrete to become weak and dusty. Like cold weather, the extreme heat of summer can create its own problems for concrete. High temperatures can cause a rapid rate of evaporation from the surface of the concrete and a much faster set time. This, in turn, can lead to a greater demand for water in the mix, which lowers the water:cement ratio, and in turn, adversely effects the strength of the concrete. High temperatures, high winds, and low humidity can lead to plastic shrinkage cracks in the hardened concrete. Try to plan pours during the cooler parts of the day. Mixer trucks should be discharged as quickly as possible and have enough help to handle the job ahead of you in a timely manner. The hotter it is, the less time you will have to place and finish the concrete. Retarders and superplasticizers can help to offset the challenges present from pouring concrete on a hot day. Concrete will crack. Some cracking is caused by reasons such as settlement of the subgrade but most cracking is caused by shrinkage. Cracking is seldom the result of low strength concrete. Think of mud after a rainstorm. As the water evaporates and the mud dries, random cracking starts to appear. The same can be said about concrete. Concrete has its greatest volume when it is plastic. As concrete bleeds and continues to dry, it shrinks. This shrinkage, in turn, places stress within the concrete that then creates cracking. Plastic shrinkage cracks appear within the first 2 or 3 days when the majority of the water is leaving the concrete. Concrete can continue to shrink at a lesser rate over an extended period of time as it continues to dry. Through proper jointing, you put the cracks where you want them. Contraction joints are the grooves or saw cuts placed at intervals throughout the slab. The joint should have a depth of 1/4 the thickness of the concrete to ensure a weak enough area through which the concrete can crack (i.e., a 4” thick driveway should be cut or jointed to a minimum depth of 1”). Also, jointing should occur at regular intervals. The rule of thumb is that for every 1” in slab depth, the distance between joints should be 2-1/2 times the depth expressed in feet (i.e., a 4” thick driveway should be jointed at least every 10”). Isolation joints, or expansion joints, should be placed where the fresh concrete abuts existing concrete. For example, expansion joints should be placed along the foundation walls before a basement floor is placed. This keeps the fresh concrete from bonding to the existing concrete and therefore allows the wet concrete to shrink without restriction. Before texturing, you might want to use the hand trowel to smooth over any rough or raised areas. Troweling exterior concrete is not necessary and if you are inexperienced it is definitely not recommended. Improper troweling techniques can lead to discoloration, crazing cracks, scaling,and durability problems. Make sure that you have the help of a professional if you are placing concrete for a floor that needs to be troweled. Texturing the surface with a concrete broom is the last step in the finishing process. Broomed surfaces are attractive and give the concrete a non-slip surface. Texture can be varied by using stiff or soft-bristled brooms, dampened and pulled across the surface of the concrete. Never sprinkle water or cement on concrete while finishing. This may cause dusting or scaling. Concrete gains strength because of a chemical reaction between cement and water, called hydration. This process continues only if there is adequate water and a suitable temperature. When concrete dries, hydration stops. Curing is the use of moisture retentive materials such as burlap, or sealing the moisture in with plastic sheeting or liquid curing compounds. When temperatures fall to near freezing, hydration slows to a near stand still. Curing helps concrete continue to gain strength. Curing should be started as soon as it is possible to walk on the concrete without scuffing or marring it. During continued periods of 70° F ambient temperatures, curing should continue for 5 days. 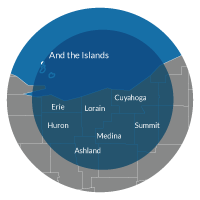 When the temperatures fall to between 50–70° F, curing should last for a minimum of 7 days. Concrete can be cured by sprinkling, misting or ponding water on the surface. Curing compounds are not recommended for use on concrete placed in late fall. Concrete needs a period of air-drying before it goes through the freeze-thaw cycles of winter. Concrete placed in the late fall should be cured by other means. Sealers are chemical compounds that help prevent water and salts from penetrating the surface of a slab. It is highly recommended to seal all exterior concrete such as driveways, sidewalks, stoops, steps and patios. Sealers are typically sprayed on the surface of the concrete. There are compounds that cure and seal concrete surfaces. It is important to read the instructions so that the compounds are applied at the proper rate. As with curing compounds, sealers are best applied to concrete that has been placed prior to late fall. The driver will need an area to wash down the hopper and chutes when the pour has been completed and are instructed to do this on the property where they have poured. The drivers are not allowed to wash out down the road at a vacant lot or along the curb, but must wash out on the same property where the pour occurred. Have an area on your property where the driver can rinse down his chutes. Try to end the pour with all of the concrete being scraped out of the chutes. 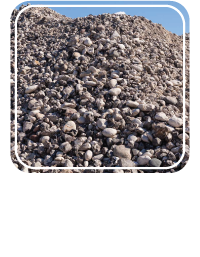 It is better to have to deal with water and residue paste (cement) than to be left with a big pile of rocks and concrete. Before the driver leaves the job site, be sure that you haven’t placed anything behind the mixer truck. Our drivers appreciate having someone help guide the truck away from the pour.